Federal immigration agents visited Santa Fe restaurants and a tree farm this spring. Sometimes they concealed their true identities, pretending to be customers; other times they flashed their badges. The businesses appear to have little in common aside from employing people of Mexican descent. Sanctuary city or not, employers are nervous, workers have vanished, and many are preparing for possible detainment and deportation. So far, neither has been widespread in Santa Fe. But even after weeks of reporting, details of recent actions in the city by the US Immigrations and Customs Enforcement agency aren't well known. That's because ICE isn't talking—and neither, for the most part, are local businesses or immigrants. But Albuquerque-based immigration attorney Olsi Vrapi has a theory: Since Santa Fe actively undermines immigration operations by prohibiting police cooperation with the federal agency, ICE may find it more convenient to catch people through employment visits under the authority of a 1986 immigration law than by working with the city. "The government essentially deputized every employer in the US to enforce immigration law," Vrapi tells SFR. "Because the employers are supposed to check things" including residency documents and work permits, he says, ICE is essentially asking them to perform immigration checks for the agency under the threat of penalty. ICE confirms it issued notices of inspection, the start of worksite audits, in Santa Fe and elsewhere in the region from Feb. 26 to March 2. The ICE investigative unit served notices to 63 businesses in New Mexico, and the Albuquerque Regional office says at least 23 people in this state and West Texas were detained during the sweep. Yet, citing its open investigations, the agency refuses to disclose which businesses were hit in Santa Fe. 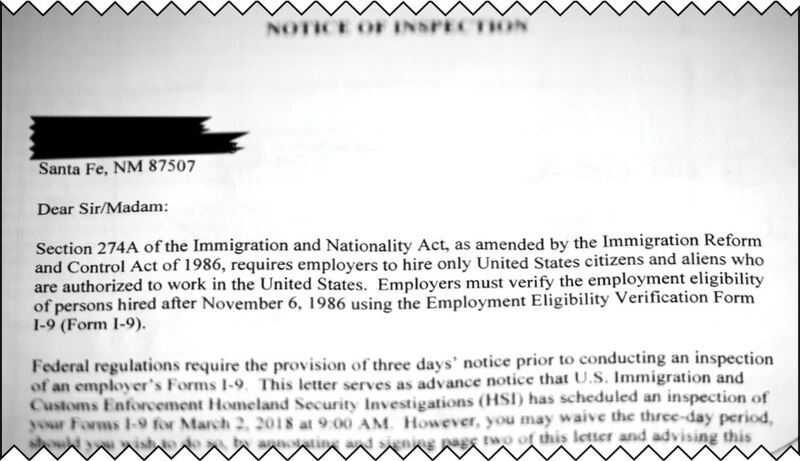 ICE has delivered at least 63 “notices of inspection” like this one in New Mexico this spring. Because the investigations are ongoing, many people approached for this story kept mum. Employers risk hundreds or thousands of dollars in fines and even (though less likely) criminal penalties for employing undocumented workers. Workers who lack permission from the federal government to hold jobs face the difficult choice of staying and risking detainment, or quitting work and losing their livelihoods. Somos un Pueblo Unido—an immigration advocacy group that held a joint news conference with the public schools and city officials in March—says at least six businesses in Santa Fe are being audited, but will not disclose their names because the inspections are ongoing, and the group believes ICE's actions to be unjust regardless of federal law. SFR could confirm just three visits by ICE officials in the city. At the end of 2017, Acting Director of ICE Thomas Homan pledged a 400 to 500 percent increase in worksite visits across the country. Roughly 200 businesses in Los Angeles and Northern California were served subpoenas in February, and in late January, 7-Eleven stores across the country were visited by agents. "Not only are we going to prosecute employers that hire illegal workers, we're going to detain and remove the illegal alien workers," Homan said to a conservative group last October, adding later, "We're always going to arrest a person who is here illegally. That is our job." In other parts of the country, ICE has imprisoned and deported teachers, caregivers, business owners and even sick children. Undocumented people in Santa Fe know that any of them could be next. There's a stack of violet fliers next to a ceramic Virgin Mary statue on a shelf when you first walk in to Café Castro. The publications from Somos un Pueblo Unido advise people of their rights if confronted by ICE at home or at work. The upshot: Keep your mouth shut. Nearby, taped to the cash register at the front where owner Julia Castro takes orders, is a clipped-out op-ed from the Santa Fe New Mexican from March 10, with the headline: "Dark days for immigrants." On a window outside Café Castro, which has served up affordable New Mexican dishes for nearly 30 years, a poster that says "Immigrants Make Us Stronger" clings to a window. All of these messages say something that Castro can't. She is unable to talk about when agents from ICE visited her restaurant a few weeks ago with a subpoena asking for documents related to legal authorizations for employees. Her concern is reasonable: The American Civil Liberties Union says about two dozen people across the US who have publicly criticized ICE in the last year were targeted by the agency for detainment or fines. Castro hasn't shied away from speaking to reporters in the past. Three years ago, she told SFR her restaurant's success was due to her Salvadoran-born husband Carlos, who took the recipes he learned while working as a cook at Tomasita's to inspire his own successful eatery in 1990. 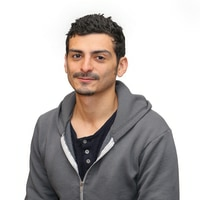 Carlos, who is now an American citizen, moved to the United States from El Salvador with his late cousin Arquimedes "Kimo" Castro. Remembered for promoting sanctuary for refugees in Santa Fe, Kimo bought The Burrito Company restaurant on Washington Avenue downtown with his wife Eleanor Castro in 2005. Agents from ICE visited Burrito Co. in early March, too, ordering food and then taking pictures of the space, but Eleanor, now a widow, says they did not serve her any papers. She tells SFR the agents identified themselves, but is afraid to say more about the visit. Managers at the Santa Fe Tree Farm, located in the Agua Fría traditional historic community, were the only ICE targets willing to sit down for an interview with SFR. As far as they can tell, two ICE agents first showed up in late February. They pretended to be customers and asked the farm's secretary, Bianca Herrera, to take them on a tour of the 10-acre property. She never doubted their story. "We just walked around and they kinda saw the land, the equipment we used, and asked how many employees we had," Herrera says. "They said they had just moved from Connecticut or something like that." The agents returned a week later, on Feb. 27, carrying sidearms and a subpoena for the farm's I-9 forms from the past year. The Department of Homeland Security requires that employers examine, but not collect, all employees' documentation relating to their identity and eligibility to work in the country and record that information on I-9 forms. Herrera says the agents also apologized for lying during their initial visit. Days later, they phoned her to ask for copies of the farm's employees' residency documents, which employers are not legally required to retain. A copy of the subpoena reviewed by SFR shows that ICE also asked the farm for "all correspondence from the Social Security Administration to the employer regarding mismatched SSNs" and a list of independent contractors and staffing companies "currently providing employees to the business." The farm produced the I-9 forms within three days of the initial visit, as demanded by the agents, Herrera said. ICE also gave her additional time to gather the other requested materials. A handful of workers have stopped showing up. Yet, the owner of the business could also be in the crosshairs. Chevo Serna was an employee before buying the tree farm five years ago from the previous owner. During the 1990s, Serna says, his parents applied to make him a lawful permanent resident, but he was disqualified because he turned 21 before the government approved their application. Later, after the Obama administration issued a 2011 memo advising ICE to de-prioritize people without criminal records and with strong ties to their communities, Serna, who is from Mexico, applied for a legal permit to work. That process is ongoing, he says. But based on new guidance issued by DHS early in Trump's presidency, he's unsure whether he's now a target for deportation. The agency said last January that anybody who has "committed an act for which they could face [criminal] charges" is a candidate for deportation, and advocates say this includes illegally entering or remaining in the country. Serna, who says he's already paid off his business in full and grown its profits, says his conscience is clear—whatever his future holds. "I'm trying to do everything as straight as possible. I'm in this situation at this point, and I'm tired," Serna tells SFR. "I'm not a criminal, I'm a hard worker, and I can prove it. … What doesn't kill you makes you stronger." On March 9, a Friday night, several dozen people filled the San Isidro Catholic Church in Agua Fría to learn what to do if ICE shows up to their jobs or homes. Small children ran through rows of chairs accented by bright-red cushions, and a massive sculpture of Jesus nailed to a cross loomed over the room. Teenagers and young adults took notes for older relatives as they listened to the presentation in Spanish. Undocumented workers are often able to hold jobs and skirt the law by falsifying paperwork, but once ICE shows up to their workplace, they have few options to avoid deportation. For example, said presenter and attorney Gabriela Ibañez Guzmán with Somos un Pueblo Unido, if ICE decides to audit an employer and an employee is concerned that the government will discover their undocumented status, that employee might be better off leaving the job and never returning. "Each one of us has to make this decision when we know la migra has arrived," Guzmán said. She acknowledged the financial disaster suddenly quitting can cause a family, telling the people in the room they should ask their employers for their final paycheck before leaving. After the training session, a worker who spoke with SFR and did not want to give her name said she and her co-workers were designing a plan for what to do if agents showed up to their job. As part of that plan, they've informed their employer that ICE cannot legally enter private areas of their workplace without a warrant. "These [I-9] forms they're asking for, we're worried what will happen if [ICE] uses the information to come to our homes," she says. "We want to protect each other as much as we can." Over the next month or two, according to immigration advocates, ICE will be verifying employee records from places audited the week of Feb. 26. Vrapi, the immigration attorney who is representing businesses audited by ICE in Santa Fe and elsewhere in New Mexico, says it's not clear why some have been targeted instead of others. Tip-offs from agencies that do cooperate with ICE, such as the state Corrections Department, can trigger an audit, Vrapi says. So can an anonymous phone call. According to John Fay, a Phoenix-based attorney and executive at LawLogix, a software company that makes employee-tracking tools for employers, establishments that are audited by ICE can be penalized for a range of technical and substantive violations. "The current fine range [for each violation] goes from $224 up to $2,236," Fay says. "The fines can get very high, very quickly." Smaller businesses, he says, "are disproportionately and perhaps unfairly affected" because they have less staff to handle the requests. Sometimes ICE will reduce fine amounts, depending on the size of the company and the "good faith" effort with which it complies with requests. The audits can also be ruinous. 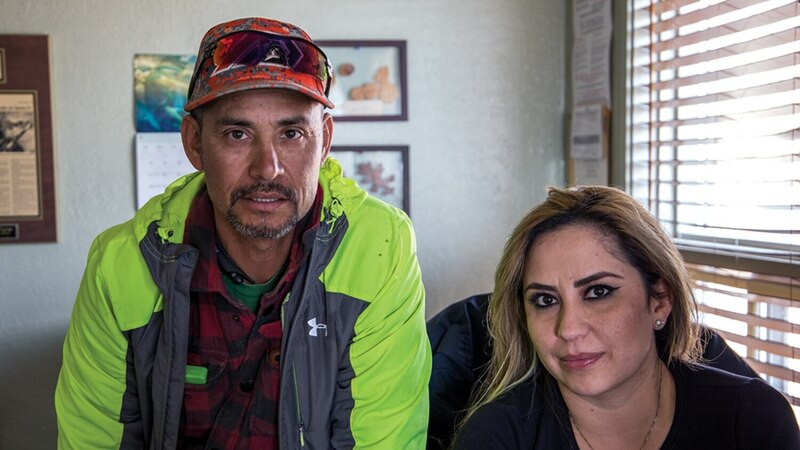 In one case from last November, a tree-pruning company in Pennsylvania was fined $95 million for recruiting and employing undocumented people over several years. "[Trump] says if these workers leave, it will open up more opportunities for US workers," says Fay, "but it's highly debatable." A lengthy report released last year by the National Academies of Sciences, Engineering and Medicine, a scientific collective that has advised US policy since the mid-1800s, concluded that there was "little evidence that immigration significantly affects the overall employment levels of native-born workers." The only reported employment sector that suffers is jobs for teenagers. Meanwhile, the far-right anti-immigration group Center for Immigration Studies thinks the audits do not go far enough in catching undocumented workers. If the secretary of the Department of Homeland Security had her way, Santa Fe's mayor and city councilors would be prosecuted. DHS Secretary Kirstjen Nielsen said in January her agency was consulting with the Department of Justice to figure out "what avenues might be available" to criminally charge politicians in sanctuary cities. Javier Gonzales publicly taunted the Trump administration after Nielsen's announcement when he was still mayor, and current Mayor Alan Webber said in his inaugural speech that Santa Fe would represent a "sanctuary for every member of our community." "I'm not going to waste my time wondering what [the Trump administration] is going to do," Webber tells SFR when asked about the threat of prosecution from DHS. On March 26, city manager Brian Snyder sent an email on behalf of the mayor to all city employees, advising them to direct any inquiries from federal immigration agencies to the city attorney's office. So far, says spokesman Matt Ross, ICE has not visited any city department or asked for assistance. A resolution adopted in February 2017 re-affirmed the city's sanctuary status and includes a provision prohibiting city workers from supplying information about a person's residency status except when the law demands it. It also states city officials must deny immigration agents access to private areas on city property and city departments will not voluntarily use E-Verify, a federal program that cross-checks potential employee information with Department of Homeland Security databases. Even so, one private employer tells SFR that visiting ICE agents who visited the business recommended they enroll in E-Verify, which the ACLU calls "a flawed system that is riddled with errors" that creates a national blacklist of unemployables. The city government can't prevent anyone else from enrolling. It's just one example of how limited a city's sanctuary policies can be in practice. The former mayor acknowledged as much when news of the audits went public on March 5. "[What] we can't do under our welcoming policies is fully protect you when there are raids that take place," Gonzales said at the time. At publication time, Webber tells SFR the city has drafted a letter for New Mexico's Congressional delegation describing the audits that have taken place. The letter will also ask the delegation to find out how many people and businesses in Santa Fe were targeted for enforcement, and the manner by which they were targeted. Simon Brackley, president and CEO of the Santa Fe Chamber of Commerce, tells SFR he has not heard about ICE visits from any of the chamber's 890 members. The Santa Fe Area Home Builders Association, which represents a local industry that employs many immigrants, also had not received notice from any of its members about ICE visits, according to Executive Director Kim Shanahan. He notes, however, that doesn't mean ICE has not made visits. Construction worksites aren't ideal places for ICE to initiate audits, Shanahan says, because the proliferation of subcontractors in the industry makes it confusing to know who actually keeps workers' I-9 forms on file. But since so many immigrants work in home building—by his own estimate, more than 50 percent of the workforce in Santa Fe consists of immigrants—ICE's motivation may be sneakier. "One of the fears we have is ICE [agents] show up to a job site without a warrant, just flashing badges and being intimidating, and people admit to things they shouldn't admit to," Shanahan says. "That's our biggest concern instead of whether the boss has I-9s on file." Over the phone, a manager at Blue Corn Café and Brewery on Cerrillos Road tells SFR the restaurant was visited by ICE agents the first week of March. When SFR went to the office of the restaurant's parent company, Santa Fe Dining, company President Randy Ropek and Vice President of Operations Justin Svetnicka declined to confirm or deny they were being audited. The company's former marketing director says it employs 350 to 500 workers in Santa Fe and Albuquerque. A city's sanctuary policy is more of a political statement than a real safeguard, says Fay, the attorney and LawLogix exec. And given how federal agencies have publicly rebuked sanctuary cities and threatened to cut off certain funds for local police, Fay thinks it's likely that immigration authorities are targeting them. "To the extent New Mexico and others have expressed sanctuary policy, or shown sympathy, I think there's a lot of politics here at play," Fay tells SFR. "If we mapped out some of the locations where we saw the most audits, I wouldn't be surprised if it turned out to be places where we saw sanctuary city policies in effect." In recent weeks, President Trump has used his commitment to include a citizenship question in the US Census as a way to fundraise for re-election, further tying immigration to his political fate. Deportation appears to be part of what he sees as his mandate, no matter an immigrant's community contributions. ICE is the main enforcer of Trump's executive order, issued during his first days in office, that expanded deportation targets to include those without criminal records. Deportations of non-convicted people rose 171 percent from 2016 to 2017, according to CNN. In politics, the idea of outright abolishing ICE is gaining traction among Democrats running for Congress, including with Antoinette Sedillo Lopez, one of eight candidates running to replace Michelle Lujan Grisham for New Mexico's 1st Congressional District. Practices the agency routinely carries out—separating families, denying medical care in detention, overcrowded and dirty facilities, and so on—qualify as "violations of the United Nations Declaration of Human Rights," Sedillo Lopez tells SFR. As evidence, she points to a Congressional study from last December that found there was "insufficient protection of detainees' basic rights" at five detention centers. Anybody apprehended for an immigration violation will end up in ICE's growing detention complex, which has facilities in New Mexico. But even before that happens, some immigrants and those close to them see the possibility of detainment as so terrifying, they drop off the map. This chilling effect makes it hard to gauge the ongoing audits' impact on the city, which might not be known until after much of the damage is done. Remember that your house is your sanctuary. You do not have to initiate conversation with officers at your door or window. You do not have to open the door or give them permission to enter. To enter your home without your consent, they must have a search warrant. 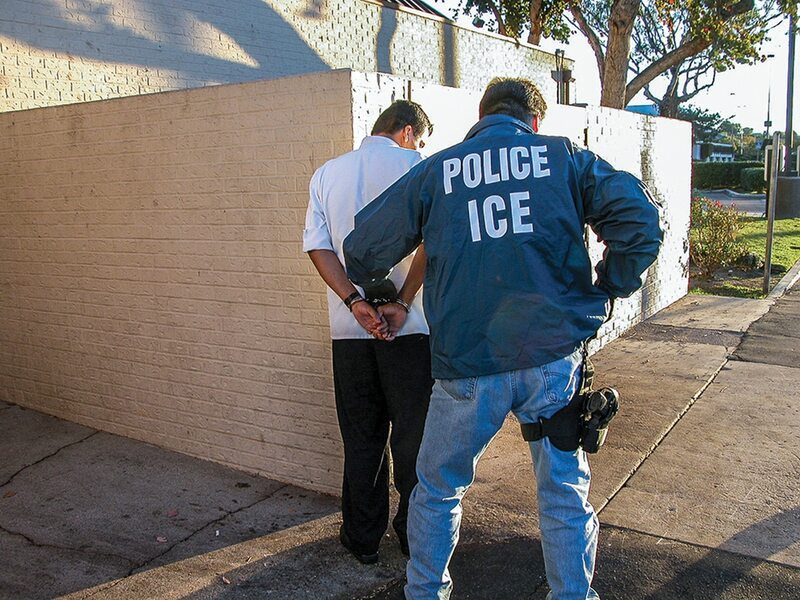 Having only an arrest warrant or deportation order is not enough to knock down the door. If you choose to open the door, you are giving them permission to enter and then they can ask questions to everyone inside. But even so,you have the right not to answer questions or sign documents you don't understand. If agents come into your workplace, you have the right keep on working and not answer their questions. You can tell them that you are busy and cannot speak to them. You do not have to divulge your national origin or immigration status. ICE cannot enter private areas in your workplace without a search warrant, permission from the owner or designated supervisor, or probable cause that something illegal is happening (like someone fleeing or hiding). Stay calm. If they stop you, you do not have to engage in a conversation with them. You do not have to answer any questions, nor share your national origin or immigration status. If you decide to run, and they catch you, you will most likely be arrested. ICE cannot conduct checkpoints beyond 100 miles from the border, but if agents pull you over you do not have to answer questions about your national origin or immigration status. You do not have to give them permission to search your belongings or your car. You do not have to share your national origin or immigration status with anyone including jail employees, police officers or ICE agents. You can refuse to be interviewed by ICE either in person or over the phone and you don't have to sign any documents you don't understand. You can ask to speak with a lawyer and ask for an interpreter during all court proceedings if you don't understand or speak English. Recuerda, tu casa es tu santuario. Tienes el derecho de no entablar una conversación con ellos por la puerta o la ventana. No tienes que abrir la puerta, ni darles permiso a entrar. Para poder entrar sin tu permiso necesitan una orden de cateo. Sí tener una orden de arresto o deportación no es suficiente. Si abres la puerta, estas dando autorización para que entren y hagan preguntas a todos, pero aun así tienes el derecho de no contestar preguntas y no divulgar tu origen nacional o estatus migratorio. Si entran a tu lugar de trabajo, tienes el derecho de no responder a sus preguntas y seguir trabajando. Les puedes decir que estas ocupado y que no puedes hablar. No tienes que divulgar tu origen nacional o estatus migratorio, ni mostrar tu identificacón. La Migra no puede entrar en las areas privadas de tu lugar de trabajo sin una orden de cateo o el permiso del patron o algun encargado del negocio. Manten la calma. Si te paran, no tienes hablar con ellos, ni contestar sus preguntas o divulgar tu origen nacional o estatus migratorio. Si decides correr y logran capturarte, te pueden arrestar. La Migra no puede hacer un reten despues de 100 millas de la frontera, pero si agentes detienen tu auto en la carretera, no tienes que contestar sus preguntas ni darles permiso a inspeccionar tu auto. No estas obligado a divulgar tu origen nacional o estatus migratorio con nadie incluyendo a empleados de la carcel, a las autoridades policias y oficial es de inmigración. Puedes negarte a dar una entrevista con la Migra en persona o por telefono. Puedes pedir hablar con tu abogado y solicitar un interprete en todos los procedimientos judiciales si tu no entiendes ni hablas ingles.